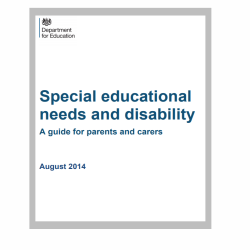 Here you can find links to official guidance issued by the government in relation to SEND . 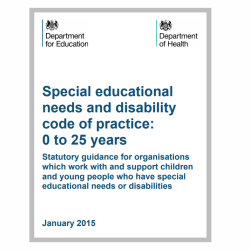 This is the document that lays out how educational settings, the local authority and the NHS must comply with SEND law introduced in 2014. 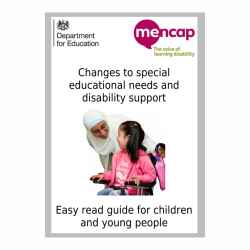 A version of the full SEND Code of Practice issued for parents and carers to access. At 59 pages, it’s slightly shorter than the full version. 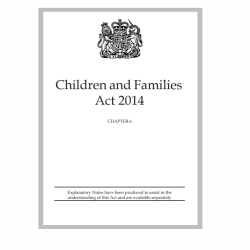 This guide was written to help children and young people understand how the new laws in 2014 would make a difference for them. A link to the act of parliament from 2014 that introduced the SEND laws we know today. Skip to Part 3 for the SEND section. 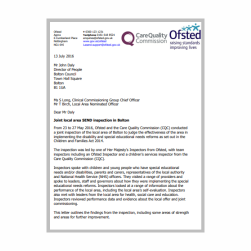 In 2016 Bolton was one of the first areas to be inspected by Ofsted & the CQC in relation to SEND. Click for the report.